Due to public outrage, over the cruel helicopter roundups and stockpiling of wild horses, 54 members of Congress cared and requested the National Academy of Sciences (NAS) study the broken Wild Horse & Burro Program. We are grateful the NAS report, released yesterday, suggests stopping the fiscally irresponsible roundups that force the herds to populate in order to avoid extinction. We regret the BLM took charge of the close to $1.5 million study and appeared to avoid analyzing the effects of livestock permittees on public land. If livestock damage could have been studied then solutions could be found. One member of the committee with ties to the Nevada Cattleman’s Association–an obvious conflict of interest. Two provisional committee members with ties to the Wildlife Society, an organization that has openly opposed wild horses. Some members of the committee are supportive of the drug GonaCon®, a contraceptive drug that has raised serious health/side-effect concerns if used on wild horses. There is no one on the provisional committee who recognizes the scientific evidence that supports wild horses as a returned native species. Protect Mustangs is against using PZP and GonaCon@ on a return-native species. The fertility control drugs never passed the FDA but were approved by the EPA as a ‘restricted use pesticide’ only. Native wild horses are not pests. If this drug is so safe then why isn’t it approved for domestic horses? We believe survival of the fittest is essential and that man must not domesticate native wild horses. Treating wild horses with fertility control puts them at risk of loosing their wild status. Left alone, mustangs will fill their niche, benefit the ecosystem while helping to reverse desertification in the wild. When facing extinction, species often increase breeding to survive. With the majority of wild horses removed, this what’s going on now. The birth rate cannot determine the size of population. BLM’s inflated population “estimates” were used to justify roundups. Air and ground census by citizens are revealing drastically lower numbers. I have been requesting an accurate census since 2009. Nothing has happened except roundups and removals. A flimsy modeling program for estimates is not enough. It’s too easy to mistake cows for horses from the air as well as to double count horses because they move around so much. We face a crisis now with advocates estimating only 18,000 wild horses are left on all public land and less than 50,000 stockpiled in government holding–unless some have been sold into the slaughter pipeline. Either way, there are no “excess” wild horses and never were. This spring we called for a freeze on roundups and for all wild horses to be returned to the herd management areas due to the Sequester. This would cut spending and let them fill their place in the ecosystem at zero cost to the taxpayer after transport. We are waiting to hear back from Secretary Jewell now that the NAS report is out and making a compelling case to stop the roundups and showing all the flaws in “the program”. The energy and water public land grab is the primary reason for wild horse roundups and removals. It has nothing to do with animal welfare. It’s been proven and well documented that the majority of wild horses removed are healthy and thriving–not starving as BLM was telling the press and public for decades. It’s also been proven that old school livestock grazing causes range damage. The BLM looked the other way and tried to blame wild horses until that myth was busted with the PEER Report. Reports come in of sales to slaughter. What did happen to the 1,700 wild horses Tom Davis bought? Why did the BLM quickly sell Davis more than 90 California native wild horses from the High Rock Range who were fit and majestic? We are concerned the value of America’s wild horses has not been understood on Wall Street. Politics is a dirty business–especially at the dawn of the New Energy Frontier–the next gold rush. The environment must not suffer when creating an export zone for renewables. Will America sacrifice it’s land, water, air and native species to sell natural gas to Asia? We’d like to see some common sense for land management so we don’t turn it into an industrial wasteland. 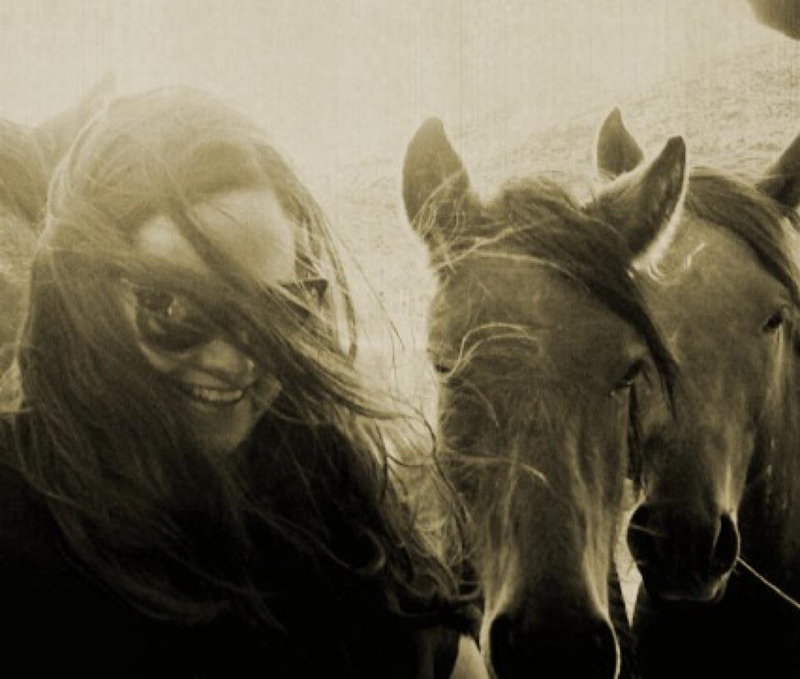 Today our icons of freedom–our native horses–need your help. If there is one thing we can all agree upon it’s to stop the roundups and stop the slaughter. Organize in your communities to make the change you want to see, visit your elected officials and join the national rally to Stop the Roundups & Slaughter on Flag Day, June 14th. We thank you for taking action because you care about America’s wild horses and burros! RENO, Nev. – A scathing independent scientific review of wild horse roundups in the U.S. West concludes the government would be better off investing in widespread fertility control of the mustangs and let nature cull any excess herds instead of spending millions to house them in overflowing holding pens. A 14-member panel assembled by the National Science Academy’s National Research Council, at the request of the Bureau of Land Management, concluded BLM’s removal of nearly 100,000 horses from the Western range over the past decade is probably having the opposite effect of its intention to ease ecological damage and reduce overpopulated herds. By stepping in prematurely when food and water supplies remain adequate, and with most natural predators long gone, the land management agency is producing artificial conditions that ultimately serve to perpetuate population growth, the committee said Wednesday in a 451-page report recommending more emphasis on the use of contraceptives and other methods of fertility control. The research panel sympathized with BLM’s struggle to find middle ground between horse advocates and ranchers who see the animals as unwelcome competitors for forage. It noted there’s “little if any public support” for allowing harm to come to either the horses or the rangeland itself. The report says the current method may work in the short term, but results in continually high population growth, exacerbating the long-term problem. The American Wild Horse Preservation Fund, a national coalition of more than 50 advocacy groups, said the report makes a strong case for an immediate halt to the roundups that livestock ranchers say are necessary to protect the range and provide their sheep and cattle with a fair share of forage. “This is a turning point for the decades-long fight to protect America’s mustangs,” said Neda DeMayo, president of the coalition’s Return to Freedom. The National Cattlemen’s Beef Association is among the livestock groups that have voiced support in the past for aggressive, increased use of fertility control but remain adamantly opposed to curtailing roundups. Horse advocates themselves are not united behind the idea of stepping up use of contraception on the range. “We are grateful that the National Academy of Science recommends stopping cruel roundups, but we challenge their decision to control alleged overpopulation like a domestic herd with humans deciding who survives and breeds,” said Anne Novak, executive director of Protect Mustangs in San Francisco. The conflict has raged for decades but has intensified in recent years for cash-strapped federal land managers with skyrocketing bills for food and corrals and no room for incoming animals. BLM officials said they welcomed the recommendations in their effort to make the program more cost-effective but had no immediate reaction to the criticisms. “Our agency is committed to protecting and managing these iconic animals for current and future generations,” Deputy Director Neil Kornze said. Compounding the problem is a horse census system and rangeland assessment practice rife with inconsistencies and poor documentation, the committee said, noting a previous NRC committee charged with the same task reached the same conclusion 30 years ago. Panel members said they found little scientific basis for establishing what BLM considers to be appropriate, ecologically based caps on horse numbers and even less basis for estimating the overall population itself. “It seems that the national statistics are the product of hundreds of subjective, probably independent, judgments and assumptions by range managers and administrators,” the report said. BLM’s current population estimate likely is anywhere from 10 per cent to 50 per cent short of the true level, the report said. The questions about the estimates come after a BLM report said the number of animals at holding facilities surpassed the estimated number on the range in 10 Western states earlier this year for the first time since President Richard Nixon signed the Free-Roaming Horses and Burros Act of 1971. 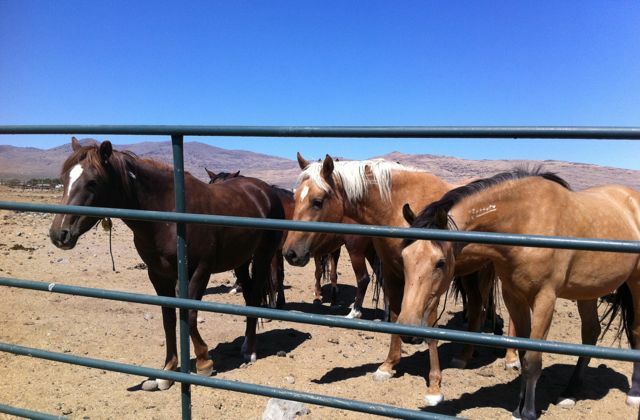 The agency averaged removing 8,000 horses from the range annually from 2002 to 2011. Last year, it spent 60 per cent of its wild horse budget on holding facilities alone, more than $40 million, the committee said. Palmer said the public traditionally adopted about 3,000 of the horses annually but that has fallen off in recent years.